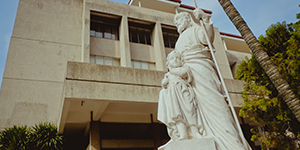 Xavier University High School, as an integral part of the Xavier University educational apostolate, is Jesuit in origin, Catholic in its orientation, and Filipino in its concerns. educates and forms leaders for the region who are characterized by internal discipline, analytical and ordered in their judgment, critical while being open to new ideas, entrepreneurial to the concerns of the human person and the larger community, animated by the pursuit of excellence and the spirit of service to others. Who are inspired by the teaching and examples of Christ, sensitive to the needs of their fellowmen, moved by and giving expression to their passion for justice, and animated by the pursuit of excellence in their lives. and lend its mark of excellence in the education of the Filipino people.